Two burglary suspects spotted on a resident’s remote camera were arrested Monday after leading police on a chase in Torrey Highlands. The resident called authorities after seeing two males breaking into the home in the 6400 block of Cypress Meadows Trail and an officer responded to the location and saw a vehicle in the driveway, according to the San Diego Police Department. “The suspect vehicle quickly drove out of the driveway and failed to yield to the officer,” who gave chase, police said. 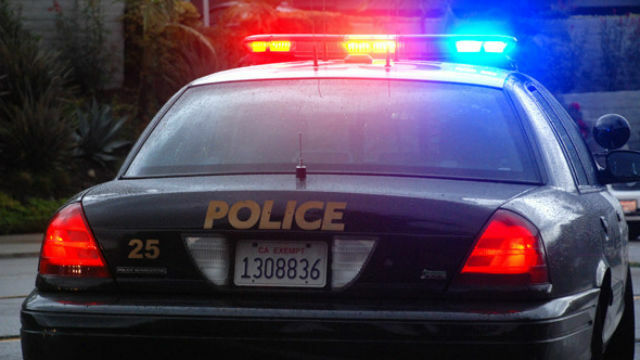 The chase led to the 4600 block of Carmel Valley Road, just south of state Route 56, where the suspect lost control of the vehicle and crashed into a pole-mounted sign, police said. The suspects fled on foot but were located with the help of K-9 units and property from the home was recovered from the suspect’s vehicle, police said.